The LIFT™ Pallet is practical in every way. 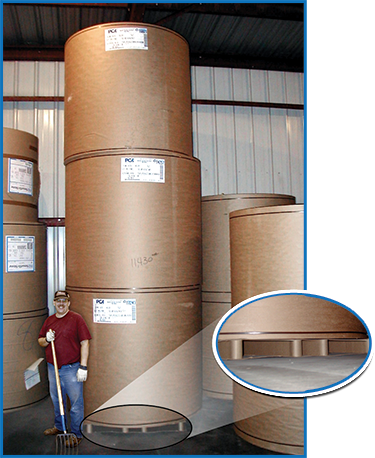 Reduces downtime, wear and tear on Auto Palletizing equipment. Since a LIFT™ pallet is less rigid than a wooden pallet it will not damage expensive auto palletizing equipment. Because corrugated pallets have cushioning properties, the pallet itself minimizes transit vibration, which reduces damage to your product. The LIFT™ pallet has 100% top deck coverage, so nothing will slip through the cracks. *This test does not reflect a shipping / transport environment.